Honoring a Remarkable Jewish Woman: Who was Dona Gracia? 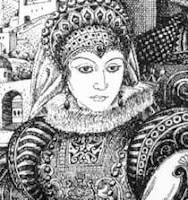 She was a 16th century Jewish woman, born a conversa (belonging to a group otherwise known as anousim or Crypto-Jews) who fought to save thousands of Jewish lives during the time of the Inquisition - and also made a significant attempt to start a modern state of Israel. The Dona Gracia Project was created in the spring of 2010 to commemorate the 500th anniversary year of the birth of Dona Gracia. It is the mission of the Dona Gracia Project to bring global recognition and honor to the memory of this relatively unknown woman, who is among the greatest women leaders of the Jewish world. Through multi-disciplinary activities, the Dona Gracia Project promotes the legacy of her leadership and business acumen, her commitment to her faith, and her sense of responsibility to those in need. The Dona Gracia Project's very first worldwide commemoration of Dona Gracia was held on June 6, 2010, at the Brotherhood Synagogue in Gramercy Park, New York. Before an audience of almost 200 people, Project leaders were presented with a proclamation from the City Council of New York declaring that day to be "Dona Gracia Day." A Kaddish prayer was said in her honor for the very first time in 500 years. A year later, on June 12, 2011, a similar festival and proclamation took place at Congregation Mikveh Israel in Philadelphia. Abq Jew was made aware of the Dona Gracia Project through New Mexico's own Sonya Loya, a great storyteller with a great story to tell. A recent presenter at the Albuquerque JCC's A Taste of Honey, Sonya Loya will be discussing her personal journey of faith at Temple Beth El in Riverside, California, this Sunday. 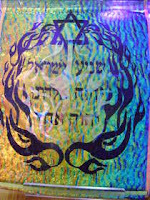 To learn more about Crypto-Judaism, please visit Abq Jew's Abq & Crypto-Jewry page at http://www.abqjew.com/crypto.php.